Jon Denham: At a young age, you were pursuing a career as a footballer, but what was your introduction to photography and when was the turning point to follow this as a career? Kovi Konowiecki: Growing up, football was my life, my passion. My dream was to be a professional footballer, so I dedicated a lot of time to that. I moved to Europe when I was 13 to play with a professional youth academy there. However photography, and art in general, has always been a huge passion too. It came from my parents and although I never met my grandfather, my dad had all these cameras that his father had given him. I would always just mess around with them and it became a hobby. I was going to all these places for football, and I would just take pictures for fun. It was never anything, until I was in university. It was there that I started getting more and more serious. I started a few blogs on campus to express some of my creative ideas. I guess it wasn’t until I was playing football professionally overseas, after college, that I realised it was something more than just a hobby. It was a big passion of mine and it was something I wanted to pursue as career. I began to feel that I wanted to go out and shoot more than go to football training so I guess that’s when it really became clear that it was what I wanted to do. In university I was concentrating on documentary film and moving image but I had the urge to create still images and I kind of just went with it. I ended up moving to London to study at the University of the Arts London to get my Master’s degree. It was not a real intention; it was more kind of open ended… like let’s see where this takes me and it just took off from there. JD: In 2016 you were shortlisted for the Taylor Wessing Portrait Prize for photographs from your series Bei Mir Bistu Shein. Can you tell us more about your motivations to document this specific family? KK: During my Master’s, I had my portfolio, which was mostly moving image, but it’s there that I really started familiarising myself with the contemporary photo world. The Taylor Wessing in 2016 really just came about through this. I had started a project with an Orthodox Jewish family in my hometown of Long Beach, California. At the time, I didn’t realise the scope of the project. It started as a few shoots with this family. I then realised they had family in London, where I was living and ended up photographing the family members there. Then, I found out they had more family in Israel in this really remote community just outside of Jerusalem. It’s this kind of closed community, they don’t really allow access to outsiders, but I talked about potentially wanting to photograph some of those family members and they connected me to them. It gradually turned into this worldwide project of taking portraits of this family. I didn’t even know what the Taylor Wessing Portrait Prize was, but my professor at the time was like: ‘I think these photographs are really strong, you should consider submitting them to this competition’. He had taken us on a class trip to a Taylor Wessing exhibition a few weeks before and showed us some of the contemporary work coming out at the time in London. I ended up submitting and being shortlisted. I’m not going to say this was the catapult for my photo career, I’m still super young, I’m still working on a lot of different things, but it was definitely a major realisation that my ideas were working. It gave me a sense of confidence to push them and continue to do the type of work that I want to do. JD: Your series Borderlands explores the identity of different communities across the world, but ultimately bring all the subjects to the same level of human existence. Was this intentional and how do you think photography helped get this across? 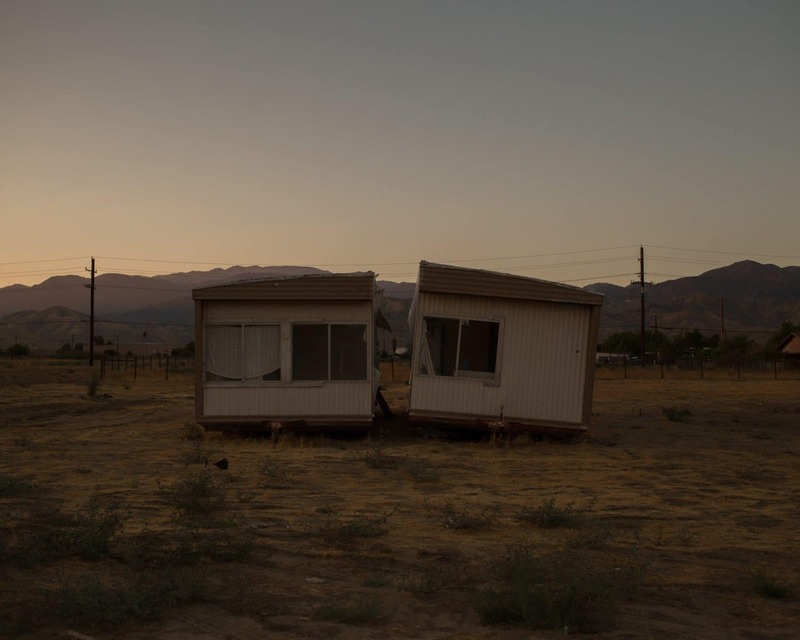 KK: With most of my projects, I’ve set out to photograph a specific people or a specific geography, to document a landscape or group of individuals. However, Borderlands is quite different to a lot of other projects. I live between Mexico and LA with my girlfriend. I’ve spent a lot of time in Mexico in the past few years, and obviously spending a lot of time in Long Beach too. I was in Israel working on the Bei Mir Bistu Shein project a couple of years back and I ended up making a few other trips back to Israel. I was travelling to all these different places and I was realising that when you photograph for one thing, you can, at times, get drawn into photographing other things. You begin to follow this intuition I guess. I operate a lot with that in photography now, following this intuition, meeting people, going down different paths. I was taking a lot of photographs that weren’t necessarily part of a series, but they were photographs that I felt had a really strong commonality between the different places that I was visiting. 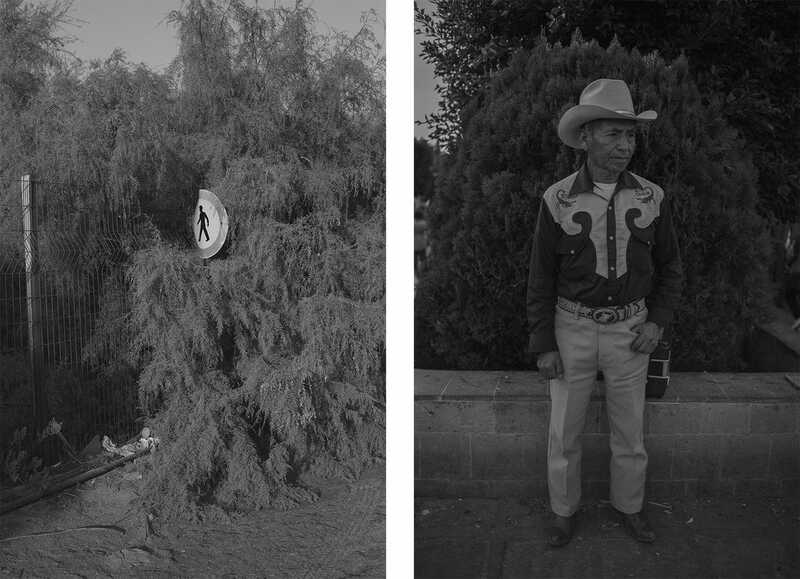 After a couple of years travelling, I started putting some of these photographs together, trying to find connections, to see if maybe I had a project. That’s how Borderlands grew. It wasn’t something I set out to do; it was just something that happened with a lot of material that I was building over time. This was also a time where my girlfriend (who is Mexican) and I had to deal with Visa issues, her living here and me living there and the amount of time we could spend in each others countries. I began to understand how physical borders are real dividers in people’s lives, and learnt a lot about the political climate going on both in the United States and abroad. I also experienced a little bit of Brexit in my latter end of being in London, so all these different factors were coming together. That’s how Borderlands was created. I feel a really close connection with it as a project. JD: Can you tell us more about the addition of poetry alongside your photographs? I read that you wrote a poem called Glory to the Hawks a few years before taking any photographs for the series The Hawks Come Up Before the Sun. Did the poem directly influence the photos or had you started taking the photographs before rediscovering the poem? KK: I have always had a passion for writing and literature. I minored in literature at college. I’ve always liked to write some sort of creative piece with my photographs. I’m not going to say it catalyses them, it’s not like the work is derived strictly from the poetry, but I feel like it’s a nice companionship. I like that the viewer is able to connect some of the foggy images to the words, and get the subtle references in the poetry that bring everything together. 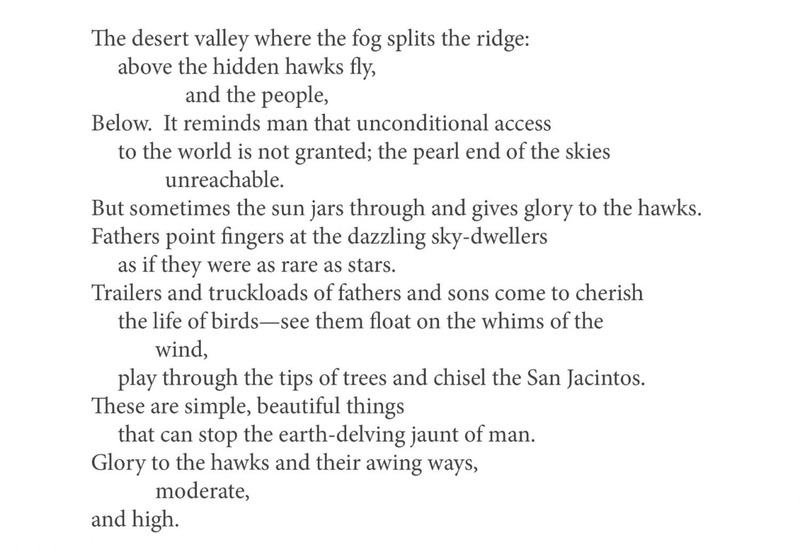 As I was working on The Hawks Come Up Before the Sun I had this poem [Glory to the Hawks] in mind. I went back and tweaked a few little things to tie it all together, to give it more of a framework and to make it a little more relevant to the specific geography I was working in, like referencing specific mountain ranges. That’s definitely something I like to do and want to keep doing as well. I’m currently working on a second chapter to The Hawks Come Up Before the Sun. It’s all black and white. In the initial project, the sun and light are like a very strong metaphor and there is a progression of light to darkness. Chapter two is almost like you’ve reached the darkness. It’ll be a little bit more gritty. JD: Both Borderlands and The Hawks Come Up Before the Sun feel empathetic with the subjects. What has working on these pieces taught you most about yourself? KK: With The Hawks Come Up Before the Sun, when I first came to the Californian desert, I actually wasn’t sure that I wanted to start a project there; it was more like a stop. I knew I wanted to work on a project throughout the US, to maybe focus on the mid-west. I travelled quite a bit to New Mexico; I wanted to explore more of Arizona, Nevada and Colorado. I do have material from these places, but I wanted to start with the Californian desert because it’s like two hours from my home in Long Beach, yet it’s an area that I was so unfamiliar with. I went several times, a few little road trips and there was just something about it that kept bringing me back. I thought to myself, why explore further for this project when there’s so much I can say that’s closer to home. In terms of Borderlands, I would say, in a much different way, it has more to do with my upbringing. As I mentioned earlier, I grew up in Long Beach, I ended up moving to Germany when I was 13, I moved to Belgium and Amsterdam for a little bit, then I was playing football in Israel. I ended up going to university in North Carolina and living briefly on the East Coast, so I grew up with this very nomadic youth. It isn’t really until now that I’m actually living at home. When I was younger I was always like, ‘I need to get out of Long Beach, I need to travel the world and put myself in these creative situations where I could push myself’. Now, I really appreciate the beauty of home and the beauty of being a few hours drive away from the desert, to have access to these open landscapes but having the city life to ground things. JD: Finally, which photographers do you admire? Is there anyone whose work stands out to you right now (artist or photographer)? 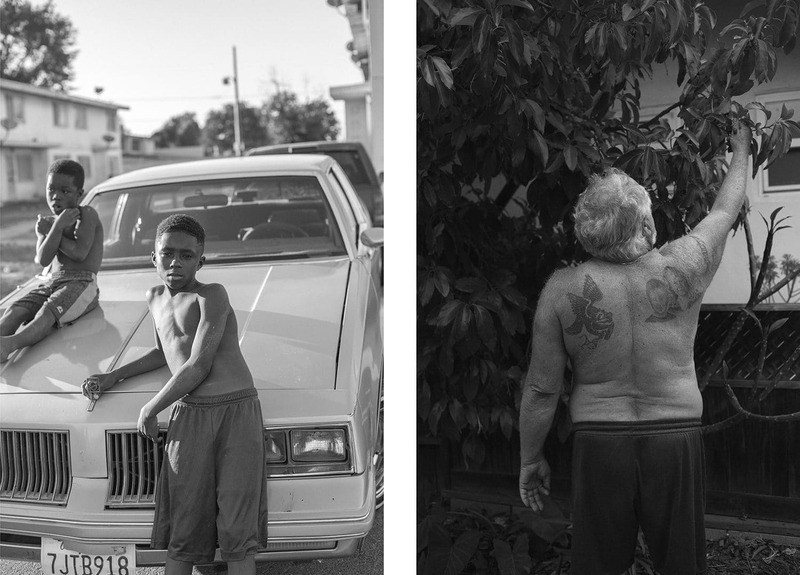 KK: Some of my favourite contemporary photographers are Mark Steinmetz, Alec Soth, Bryan Schutmaat, Dana Lixenberg and Stephen Shore (who’s not so contemporary). 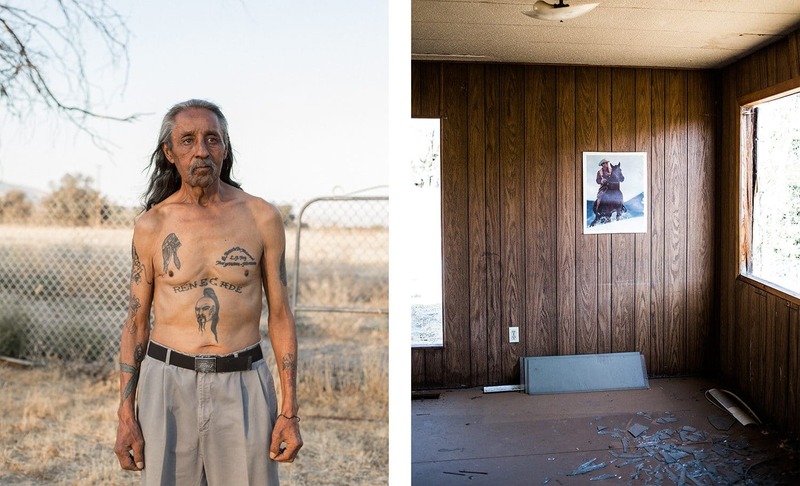 One photographer in particular that I would like to recommend is Matthew Genitempo, especially his series Jasper. I exhibited with him last year at Red Hook Labs in New York, and I think his work is great.